LOWEST PRICE GUARANTEE ! 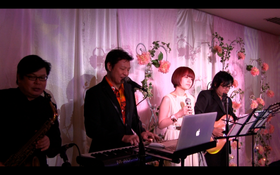 We guarantee you the lowest wedding live band prices and we'll stand by that promise ! If, after booking us, you should find within 2 days the same professional services offer by someone else, we'll refund you the difference ! Who dares claim this ? OUTSTANDING SERVICES GUARANTEE ! Read our reviews and testimonials.We have been known to go beyond and will guarantee you the best before and after services ! We are serious and treat each wedding like our own.We don't compromising with our live band and sound system ! It has to be Perfect. NO-NONSENSE NO-PRICE HIKE ! No additional charges after agreements.Prices quoted are nett and no gimmickry.Yes we are confident that our pricing is transparent and budget friendly. 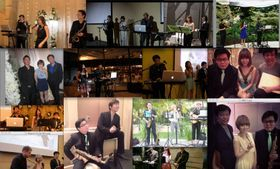 Insight : We are unlike other band that were assemble quickly by an agency and assign them to jobs.You would have noticed when you attended wedding dinners that these bands lack the chemistry and their performance sounded so unrehearsed.We have performed as a team for hundreds of weddings and our years of experience will surely make a huge different. 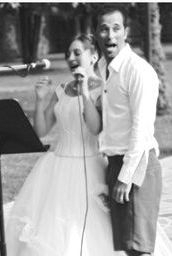 We also write and compose original songs for couple to sing on their wedding night.Or you can also have your favorite song re-arranged with a custom key and musical style which is unique.With brandnew music arrangement,your song will be a one and only in the world and you can sing it to surprise your guests or partner ! We can produce that musical cd for you.The recording and mixing will be handle by our professional veteran album producer Benny Wong KG.He will guide you all the way...so it's a breeze ! 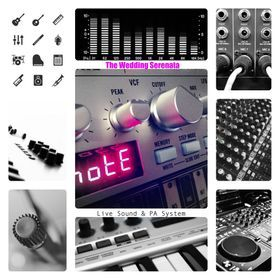 We only work with the best in the business and all talents have something unique to offer.We are flexible with band ensemble depending on your requirements and budget.Engage us early for a big 5 piece or a one man keyboardist/singer band.Please contact us for more detail and let us know if you want an intimate 1-3pc band or a bigger set up. 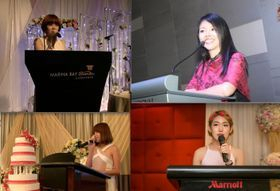 We also provide solo bilingual emcee services for wedding at affordable rate.We don't believe that you have to pay a high fee for a wedding emcee.Why pay more to hire a duo emcees anyway ? We have our own tip top PA system and that helps to save cost when you book our bands with the PA system as a package. It's crucial to get a proper modern PA system to go with a live band ! We carry all the best brands like Mackie,Yamaha and Bose system. Rent our PA system for your up coming events like Gala dinners,Corporate events,D&D,Army parade,Awards presentations,Birthdays and Weddings. Huge song listing ! Mega song list due to our many years of experience ! 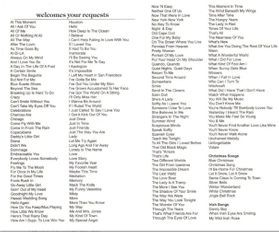 We have a huge list [more than 2000 songs for corporate events] and 400 over love songs just for weddings with more added daily.If you have special request of songs,let us know early and we'll perform them for you.We'll be glad to help you select and compile some of the coolest songs suitable for your events. Budget Video ? Yes ! We can help shoot your 2 march-in moments in HD MTV without breaking your bank ! 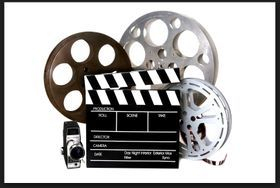 Now everybody can have a wedding video that they can keep forever.Call us to find out what's this all about ! $ Budget $ bargek $ baget !!! 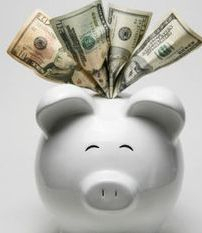 We know that ultimately it always come down to $ & cents.When it comes to music,we'll bend the rules for you by doing more and you paying a little less ! Email us for a quote at our contact page and we promise you'll be surprise ! 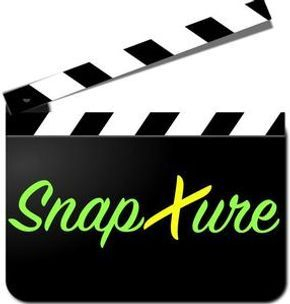 Our trusted partner.Photo booth for your weddings and events at a very affordable price with 1st class services !